We all know that after Slumdog Millionaire, our very own Anil Kapoor was asked for several Hollywood productions and he bagged a role in the Tom Cruise starrer Mission Impossible: Ghost Protocol. And before that he played the role of President Omar Hassan of Kamistan in the popular American tv-serial 24. And guess what… he will now play the lead. Anil Kapoor’s production company recently bought the remake rights of the American show. Kapoor will make his TV debut in India next year with this show, which he will adapt for the Indian viewer. The tv-show will air in Hindi and dubbed in several regional languages. 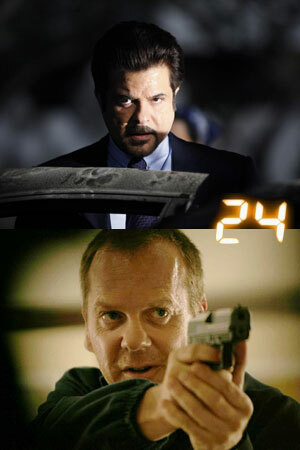 And is it’s true then the international team of 24 will be involved with the making of the adaption. We wish Anil Kapoor all the best with the production and certainly can’t wait to see how he has adapt this popular tv-serial.